One of the biggest trends lately in skincare has been the “cleansing oil.” Many brands including Origins, Josie Maran and even Bobbi Brown have added them to their lines. So, are they worth it? I was personally curious, so I grabbed one from Clinique and decided to give it a shot. I’ve explained before that my skin hasn’t been my best friend in the past couple years. Whether its the stress of being a college student or the San Francisco air, I don’t quite know. All I can say is with my recent skin care routine (here), I’ve almost earned my clear skin back. Finally it dawned on me, maybe my issue stems from my makeup remover. Cue the lightbulb moment. For the past two years I have been using Neutrogena Make-up Remover Cleansing Towelettes, which come in a pack of 25 for around $8. I use generally two a day so clearly that adds up. I did the math and realized that purchasing a more expensive product that might not only keep my skin nicer, but also last longer would be a good investment. So I hit Sephora. 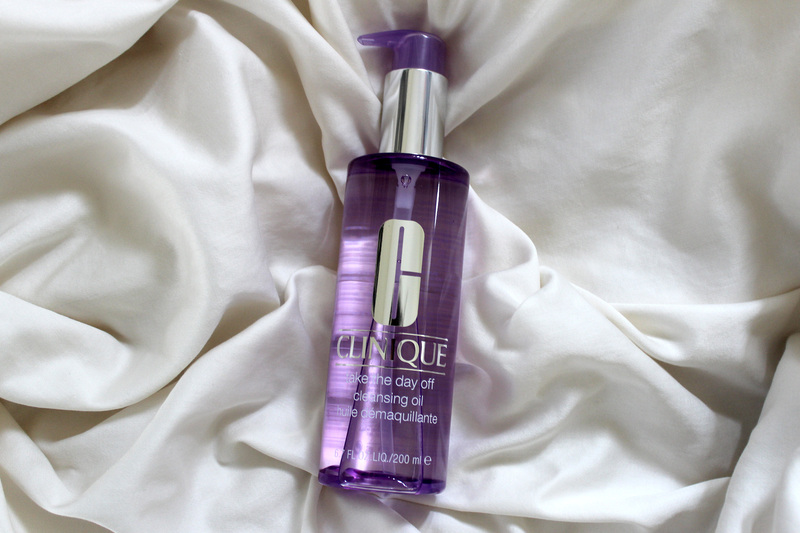 I am a fan of Clinique products, so I didn’t worry about whether or not the oil would irritate my skin. Plus, it had a smaller price tag then comparable products. 1. I applied one pump of the product to my hands then massaged it into my face. I realized I needed a little bit more, so I added about half a pump more. The oil kind of surprised me because it got kind of warm against my skin. I just continued to rub it around making sure to get it on my eyelids and lashes. 2. Once I felt like it was evenly spread and like my makeup was moving around, I added a touch of water to my hands and then started massaging my skin again. All my foundation turned a true white and slid right off. My mascara poured down my face and wiped of easily. 3. Once I knew everything was loose, I just rinsed my face with warm water like usual and cleaned up any left over mascara with my washcloth. I then slathered on a little of my Olay moisturizer and boom, my face felt amazing! Now, I have been using this product for a few nights and I genuinely like it so far! I feel like a little bit goes a long way and as long as it doesn’t break me out or dry my skin, I will continue to use it. It just feels so much more gentle than scrubbing a cotton towelette against my face. So far, I’m a total fan. I will continue using it for the rest of the month and if I love it, I will put it in my favorites and explain the longer term effects. Cross your fingers that it keeps up the good work! I really don’t want to purchase anymore towelettes! Posted in Beauty, Uncategorized and tagged Beauty, Bobbi Brown, cleansing oil, Clinique, Clinique products, Josie Maran, Makeup remover, makeup removing oil, Makeup removing towelettes, Neutrogena, skin, skin care routine, Skincare, take off the day. Bookmark the permalink.